RALEIGH (WTVD) -- A man accused of opening fire in a Crabtree Valley Mall parking lot faced a judge Tuesday. Damien Dayquann Lyons, 24, of Raleigh, told Wake County District Court Judge Ned Mangum he was being robbed at the time of the incident. Crabtree Valley Mall police responded to the scene and arrested Lyons shortly after 5:30 p.m. Monday, charging him with discharging a weapon into an occupied dwelling/moving vehicle, going armed to the terror of the public, and injury to personal property. Police said he ran after a moving car in the Barnes & Noble and Best Buy parking lot and fired a 9mm handgun at someone inside, but no one was hurt. 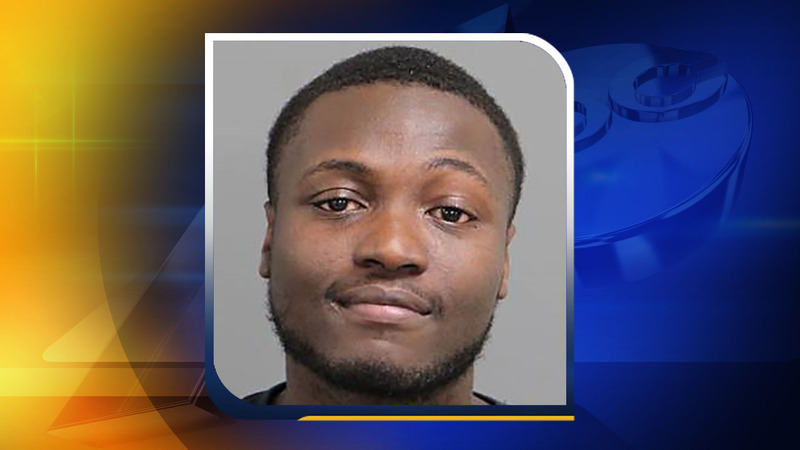 Police told ABC11 that Lyons told officers he had sold an iPhone online and was robbed during the exchange with the buyer in the mall parking lot. Investigators are now reviewing surveillance video which officers said shows the other car involved. Judge Mangum refused to lower Lyons' $200,000 secured bond; his next court date is November 14.